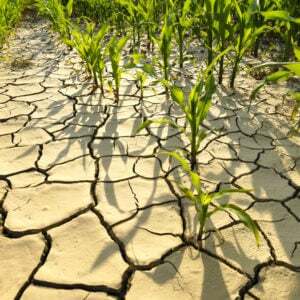 Will severe droughts in Africa open door for imports, acceptance of GM crops? A scorching drought has enveloped southern Africa prompting a significant decline in food production. The World Food Program (WFP) said as many as 49 million people in southern Africa could be affected. The drought is being blamed on the longest El Nino weather pattern in thirty-five years. But a huge controversy is boiling over whether genetically modified grains and crops will be accepted as imports to help address this crisis. At present, South Africa is the only nation in the region where GE crops are allowed to be produced. Zimbabwe, with three million people in need of emergency food relief, has already announced it would reject any GE crops. How bad is the crisis? The southern African region may require as much as $4.5 billion in emergency food relief. South Africa experienced its worst drought in 2015 since 1904. The government has estimated that 2.7 million households throughout the country have been impacted. President Zuma has indicated the dearth of rainfall will push up food prices, increase debt levels among farmers and cause job losses in the farm sector. In addition, many people in several rural townships are living without water because town council reservoirs have dried up. In January, the government of Mozambique announced the drought could affect 1.7 million people in the southern part of the country. In Malawi, an estimated 2.8 million people, about 16 percent of the population, may be affected. In Madagascar, the WFP estimated 1.9 million people are at risk. In Angola 800,000 people in the southern provinces face crop losses and livestock deaths, In Swaziland, which declared a national emergency in response to the drought, about one-fifth of the population is considered to be food insecure. And in February, Zimbabwe launched a $1.5bn appeal to foreign donors for emergency food assistance. The WFP believes 14 million people are going hungry and the situation could get worse. It indicated that in Lesotho, Swaziland, Zambia and Zimbabwe, poor weather has delayed plantings by two months or more, substantially limiting corn production. Malawi will witness its first corn deficit in a decade, Zimbabwean food output has fallen by half, and throughout the entire region food prices have climbed sharply. 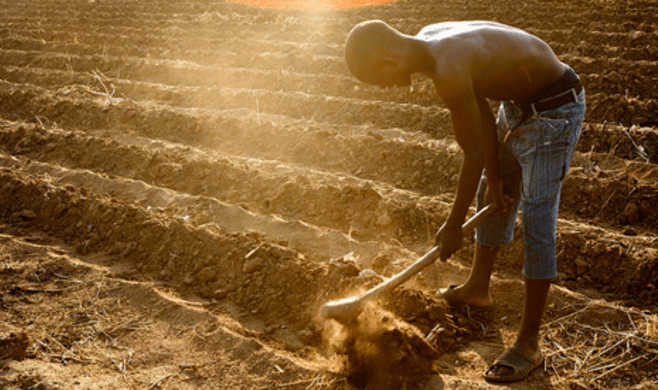 The drought has dampened the already poor economic outlook for southern Africa, which was already straining under the sharp decline in commodity prices that many countries in the region rely upon to fuel economic activity. The South African economy, which is the engine of economic growth for much of the region, has been limping along, hindered by falling prices for many of its major primary product exports such as diamonds, platinum, coal and iron ore. The IMF predicts its economy will grow by just 0.7% this year. The crisis situation has heightened public debate about GE foods, which has anti-biotechnology groups unnerved. They are afraid that the severe drought may serve as a battering ram to open the door to the importation and the production of GE crops, and this is something they are determined to prevent. Despite Zimbabwe’s intransigence. Zambia in January announced plans to import corn from South America, much of which is genetically modified. In February, South Africa, which produces GM corn, said it will relax some regulations on GE crops so it can increase corn imports from the United States. Although 90 percent of the corn produced in South Africa is genetically engineered, it does ban varieties that have not been approved by the government. It also does not allow imports of GE corn to be stored. Instead, imported GE corn must be immediately transported upon arrival from the port to mills. These modest steps toward normalization have occurred during a time when African nations have gradually become more receptive to utilizing biotechnology. At present only South Africa, Egypt, Burkina Faso and Sudan grow GE crops. However Nigeria’s former president Goodluck Jonathan signed a Biosafety Act into law last year that may yet open the way for the growing of GE crops. Kenya meanwhile recently gave conditional approval for GE crop trials and Cameroon, Ghana, Malawi and Uganda are among the nations that have conducted field trials of GE crops. 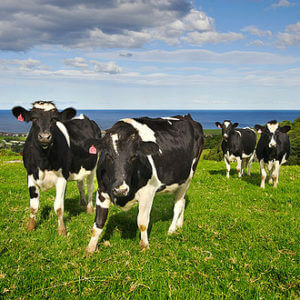 The reality is that there is no evidence that GE food presents unique health hazards to either humans or animals that consume it. Almost all of the major scientific institutions and many international agencies such as the National Academy of Sciences, European Academies Science Advisory Council, the Food and Agriculture Organization, Royal Society, Heath Canada and the World Health Organization have indicated they are safe to consume. The Academy of Sciences of Ethiopia, Ghana, Kenya, Mozambique, Nigeria, Senegal, South Africa, Tanzania and Uganda and the International Society of African Scientists have issued similar statements. The anti-GMO concerns expressed by many in Africa to GE food is in large measure the result of a multi-year vilification campaign conducted by anti-GMO NGOs. GM Watch, for example, attacked former UN General Secretary Kofi Annan and the Alliance for Green Revolution in Africa (AGRA), which he chairs, for endorsing GE technology. A report released in 2013 by the AGRA characterized the opposition to GM crops as “a farce” and pointed out that GM crops have been subjected to more testing worldwide than non-GM crops. Friends of the Earth also worked against GMOs in West Africa, holding a 2005 conference in Nigeria that brought together GM food critics from 9 different African countries to demand a complete moratorium on GMOs in Africa until their safety for our environment, health, and socio-economic conditions is established beyond doubt…The NGO campaigners were concealing the fact that all of the most important science academies in Europe had so far found no evidence of new risks from GMOs. The reality is that Africa needs advanced agricultural biotechnology including GE to increase food production to feed its swelling population. According to the US Census Bureau, the population of Africa is expected to roughly double to 2.100 billion by 2045. Africa cannot continue to grow food the way it has in the past. 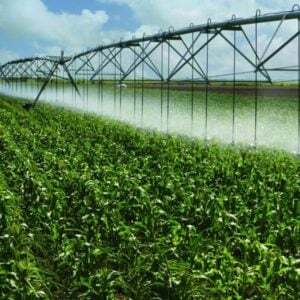 Only 7 percent of arable land in Africa is irrigated. Most farmers rely on rainfall to water their crops and the rainfall in many parts of Africa in recent years has been sparse. Climate change is expected to exacerbate the crisis. 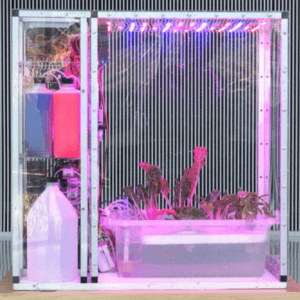 GE technology offers the potential of growing drought resistance crops. The Water Efficient Maize for Africa program, which is a private-public partnership, is conducting field tests in Mozambique, Uganda and Tanzania for a GE version of drought resistant corn. Work is also being conducted on developing GE drought resistant rice. Rice is the second largest food staple in Africa after corn. Anti-GMO NGOs claim they are protecting the African people from exploitation by large multinational agri-businesses. They believe they are standing on the high moral grand. But most of the new crops being developed in Africa, including disease resistant cassava and banana, are being developed by governments and not by corporations. The truth is many NGOs are fundamentally opposed to biotechnology itself, regardless of the benefits it could bring and the devastation that could occur if Africa is denied the technologies open to the developed world. My country’s government would rather see people starve than let them eat genetically modified food. …For too long African countries have looked to Europe for economic and intellectual leadership—and now we’ve accepted Europe’s sweeping opposition to GMOs. The difference is that Europe is a wealthy continent that can afford this ideological luxury. …There are no easy solutions to a drought, and even crops with GMOs can’t bring us the rain we need. Yet the drought may serve the purpose of highlighting the madness of Africa’s anti-GMO extremism. Steven E. Cerier is a freelance international economist.